The People’s Potato food assistance service exists in order to supplement our daily servings of by-donation vegan lunches. As with the regular servings, the goal of this project is to make food more accessible to students and community members as the cost of living continues to rise. 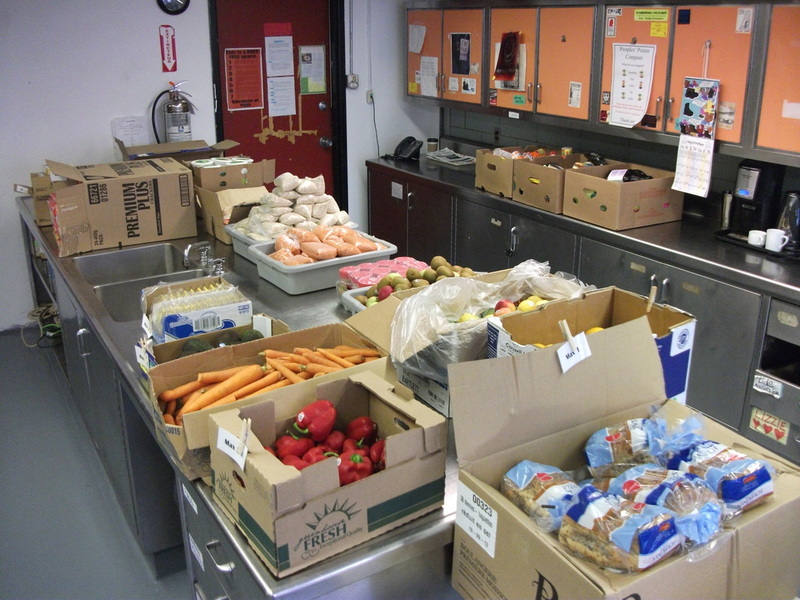 During the regular school year, food parcels are offered twice monthly in the People's Potato kitchen. The frequency is increased during exam periods, however this service is not available during the summer. The service is open to everyone, with no registration necessary. Twice weekly, collective members of the People's Potato pick up donations from Moisson Montréal – the island's largest food bank provider. These donations consist of items such as canned and prepared foods, bread, milk, cereal, etc. The food donated by Moisson Montréal sometimes contains meat and dairy products, although the majority is vegan. The People's Potato does not endorse the corporations which produce these foods. We also purchase fresh produce and dried beans and grains in order to increase the quantity and quality of food available. We at the Potato strive to organize the food assistance service in the most accessible, respectful and efficient way possible, and we are always open to suggestions regarding how to do this better! Everyone must *bring their own bags* as we are not able to provide them. In a desire to remain accessible to as many people as possible, regardless of income or immigration status, we will never ask service users for any form of identification.